Holli Daytickets offers multiple solutions for connecting local info and the best experiences to the hospitality branch and their visitors.) 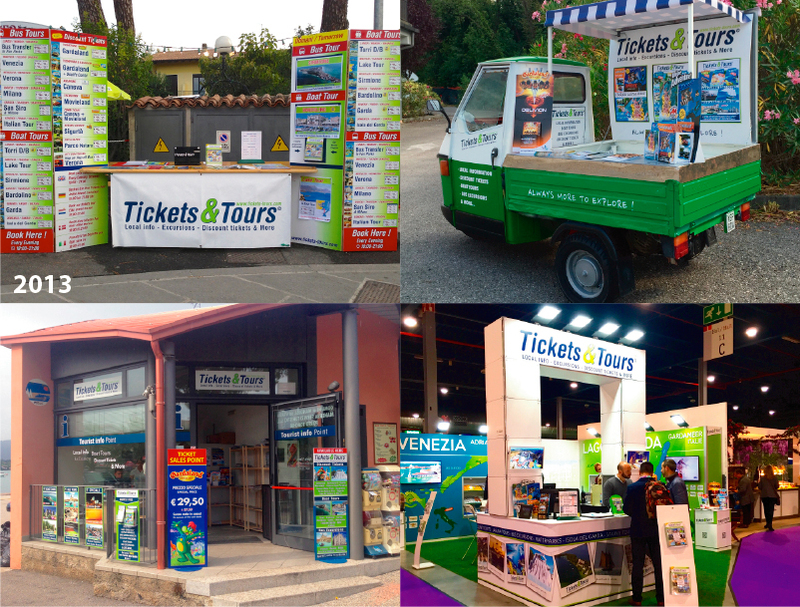 We provide easy access to all tickets for Activities and Tours to visitors and offer the possibility to our partners to use ours tools to offer all our products directly to their guests, upgrading the level of customer service. If your are a Hotel, campsite, B&B or a travel agency, we do have the right tools for you and your customers to reach all there is to do to make the holiday an incredible experience! Book your Activities and Tours with us! * Download our Holli app, find all info and book directly in the app! It was summer 2013 that our 2 Dutch founders realised that something had to change in the way that the offer of activities and Tours was organised around lake Garda. Holiday makers had problems to find the right experiences for their family and providers had problems finding the right customers. What started with some phonecalls about boat-availability resulted in the creation of an online ticketing platform over the summer. Tickets & Tours was born and started to sell thousands of tickets from suppliers through campsite-and hotel receptions to the holiday makers. A win-win-win situation…. After realizing that this communication problem did not only exist at lake Garda, we expanded towards the other Northern lakes and the Adriatic Coast and soon we were the biggest supplier of local experiences at Cavallino and surroundings. We wanted to scale our product faster by offering an app that not only provides the service of buying tickets, but also could provide local information and events. 2 Years of development in close collaboration with providers and holiday accommodations brought us to a fantastic result of an app that can be called unique in the world and will give lots of users the possibility to make more of their holiday. Now we are opening new regions like Valsugana and Tuscany and we expanding into Europe. With this exciting development, we opened a Head office in Holland, launched an App and decided to change our name into Holli-Daytickets.